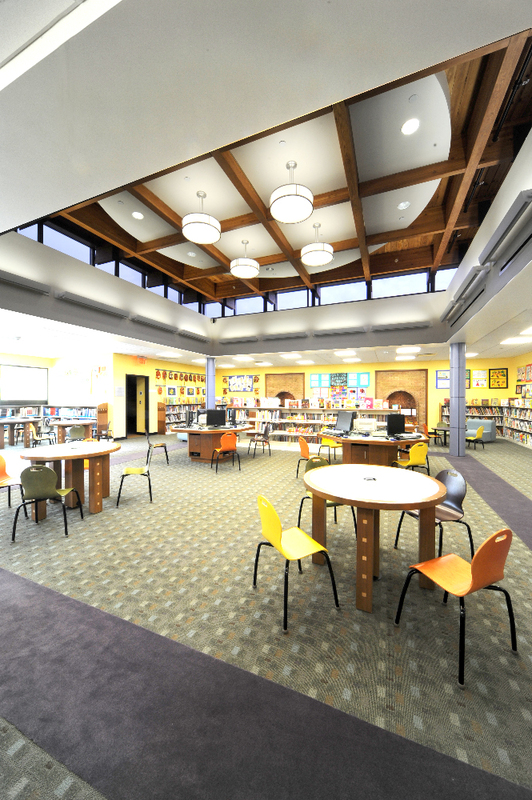 The existing 48,000 SF library had not seen an update in decades. 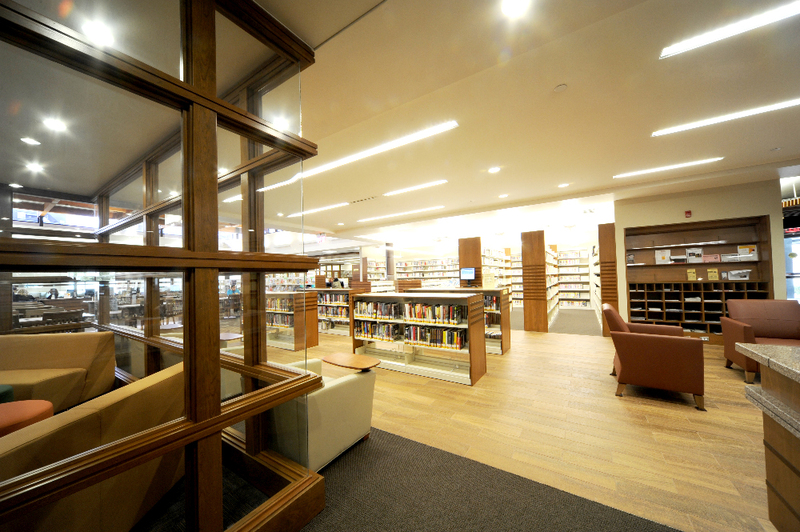 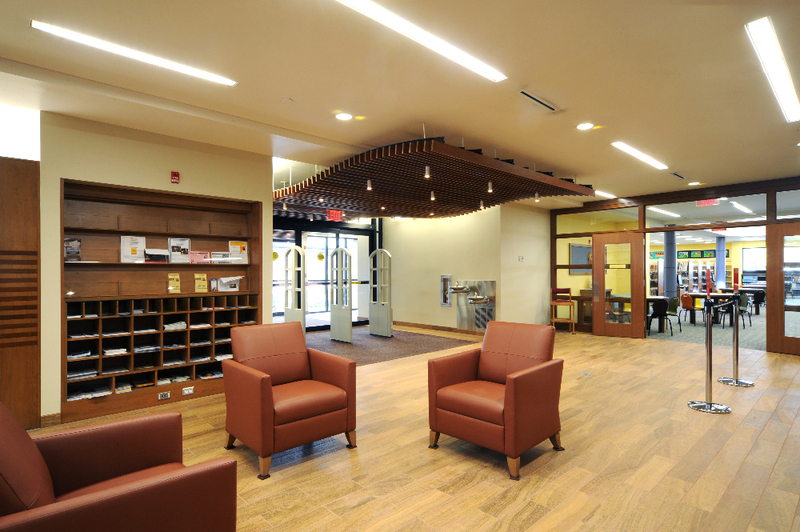 A minor addition in the rear allowed for relocated administrative space opening up the main library to a complete interior redesign. 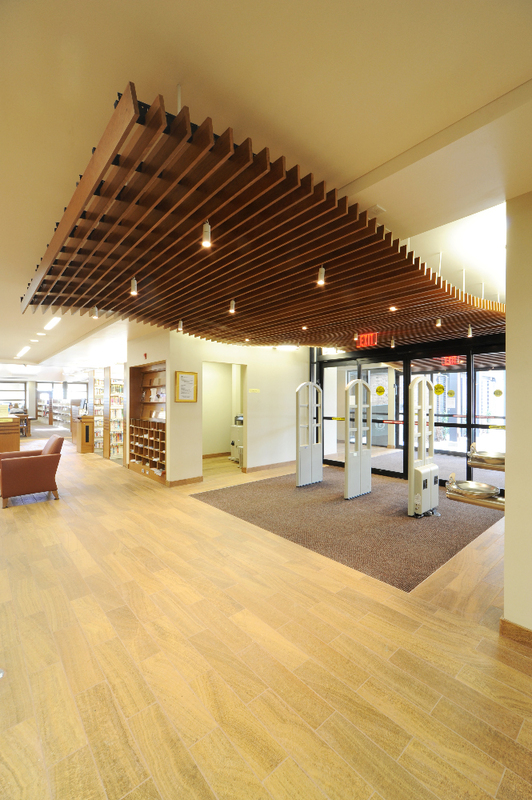 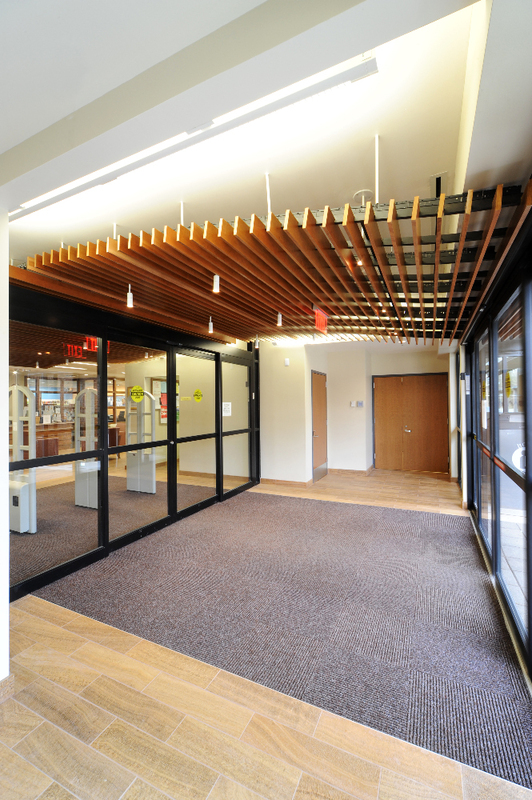 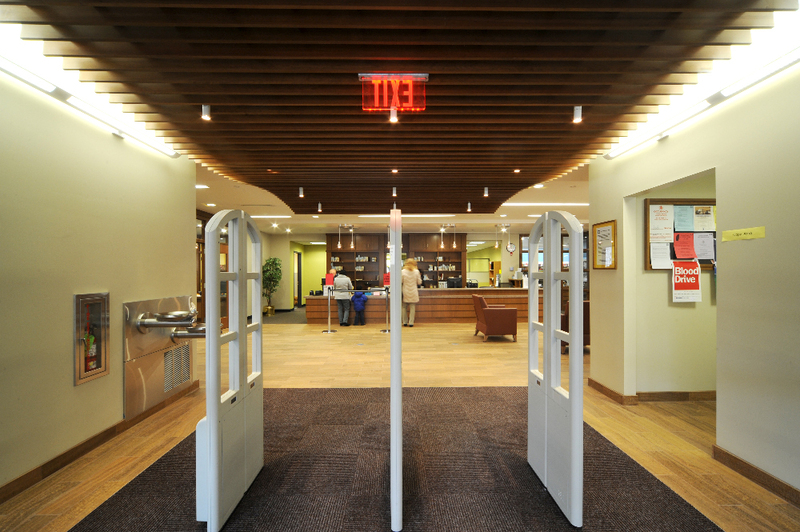 All new flooring, ceilings, lighting and furniture were incorporated into the building. 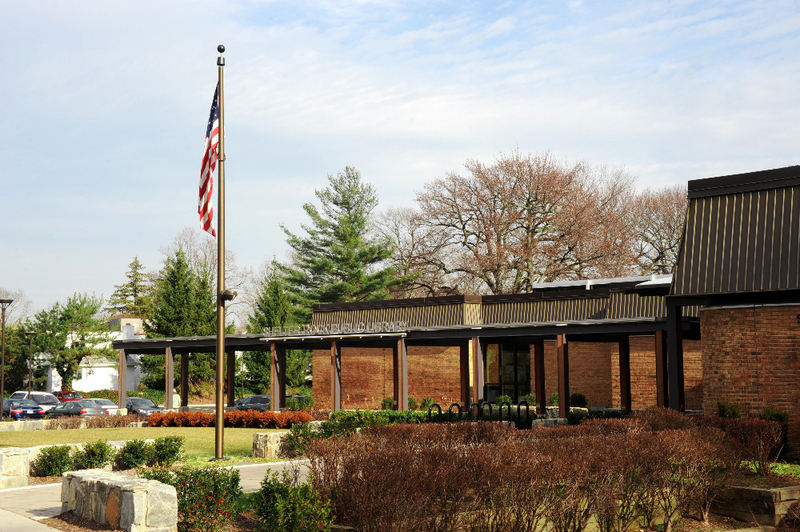 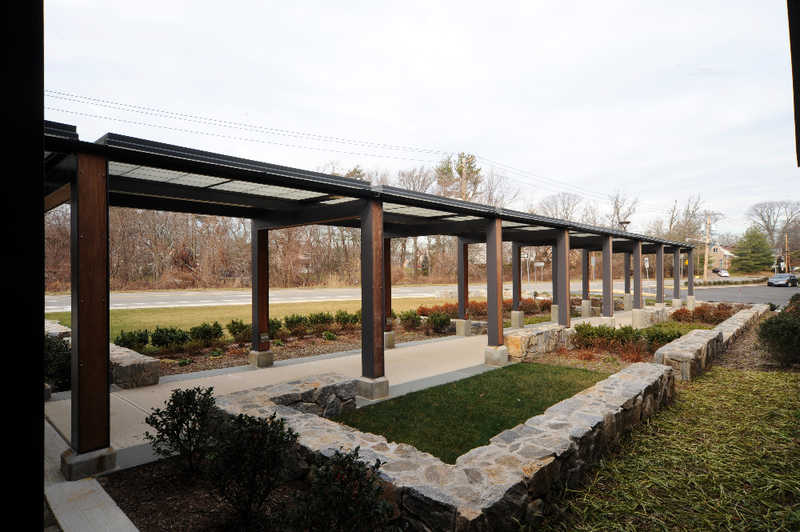 A Solar Canopy now frames the entrance to the newly renovated library.